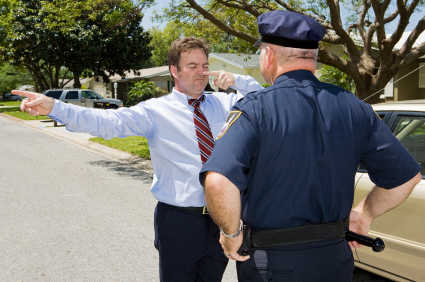 To arrest a person for DWI in North Carolina, police must have probable cause that a person has committed DWI. Meaning, there must be a reasonable likelihood or probability that a police officer believes that criminal activity is afoot (in this case, driving while impaired). Several factors must be considered, which will be discussed further in this blog. Probable cause for DWI arrest should not be confused with “reasonable suspicion”, which is required for police to force a person to stop his or car (click here to read more about Fourth Amendment seizure as it relates to traffic stops). This blog focuses on probable cause to arrest for DWI. Part Two of this blog can be read here. When will a court find that probable cause for DWI existed? A court will consider many factors in determining whether probable cause to arrest existed. No one specific factor will be considered, but rather, all the factors, given the totality of the circumstances will be analyzed. There is no black and white answer to what amounts to probable cause and what does not. The court will consider DWI cues and will balance them with evidence of non-impairment. We discuss these factors in the next blog. I do not believe that the police had probable cause for DWI arrest, but they arrested me anyway. What can I do? Just because police arrested you for DWI does not mean that a court will find that police had probable cause to arrest you for DWI. Meaning, the court may find that the arrest was unlawful. If you have been charged with DWI, you need to speak with a criminal defense lawyer. Whether the police had sufficient probable cause to make the arrest is one of the aspects of a DWI case that a criminal defense attorney will analyze. For a criminal defense lawyer to properly analyze this, he will need to speak with you, read any statements you or other witnesses made, watch the dash camera footage, and examine any other relevant information. After she has done this, she will be able to determine if your case has a (lack of) probable cause argument. If so, she will make a probable cause motion and argue the motion in court. A judge will decide whether there was probable cause for arrest. If the judge finds that probable cause existed, your case will proceed to plea or trial. At what stage of an investigation does the probable cause consideration come into play? A police officer will begin gathering evidence of probable cause for DWI arrest from the time that they first observe the vehicle and/or driver all the way up until the police initiates arrest. Sometimes the officer will observe the vehicle on the road or observe the driver exiting a bar or other establishment. Other times, the officer may encounter the driver at a DWI checkpoint (click here to learn more about DWI checkpoints in North Carolina). Whether a driver has been stopped because of a checkpoint or has been stopped because the police officer has reasonable suspicion that the driver has committed DWI or another crime (such as speeding), the officer will conduct an investigation. The officer is trained to look for DUI cues during this investigation. The purpose of this investigation is to formulate probable cause to arrest you for DUI. To read about the investigation and the various factors in which a judge will consider when making a probable cause determination, check out our blog, Probable Cause for Arrest – DWI in North Carolina Part Two – The Investigation. If you have been charged with a DWI in North Carolina or South Carolina (or another crime in North Carolina or South Carolina), you should speak with a criminal defense attorney.